I get recipes from everywhere - from websites to newsprint - but I never duplicate them word-for-word. Mainly, that's because a lot of recipes rely on expensive ingredients (which I must change,) or the list is so long that I have to take a machete to it! But, I've managed to pull a rabbit out of the pan more times than not. 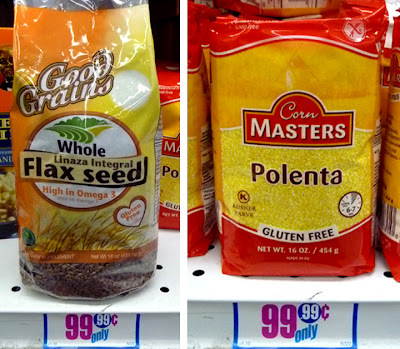 It's easy to substitute cheaper chicken for costly bovine, or peanuts for pine nuts. However, every once in a while I manage to find all the ingredients in a recipe for the right price. 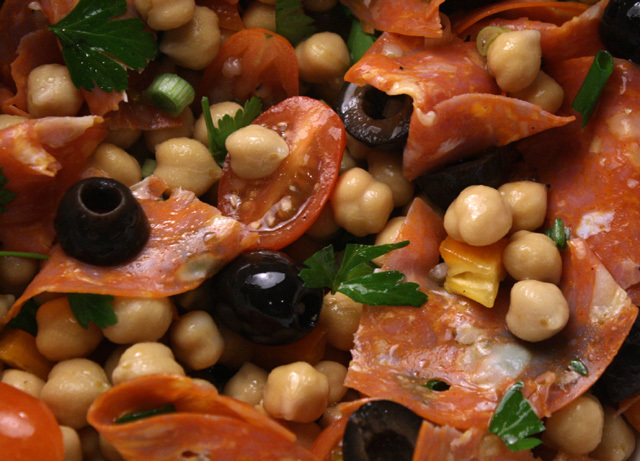 It's a luscious dish made with budget priced chickpeas (or garbanzo beans,) black olives, cherry tomatoes, parsley, green onion, and garlic; in a tart dressing of lemon juice and olive oil. Of course, I couldn't help changing the recipe a little bit -- you should feel free to do so as well (original recipe is here.) I doubled up on the amount of black olives and tomato. I served the recipe during an impromptu viewing party for the Golden Globes earlier this month, and it was a hit -- eaten up even before Ricky Gervais' opening monologue was through! So, props to the Los Angeles Times food section for serving up another hit recipe -- and I get to bask in all the glory! You will too, if you give the chintziest of chef's latest recipe a try, literally ripped off the pages of my great daily big city newspaper. 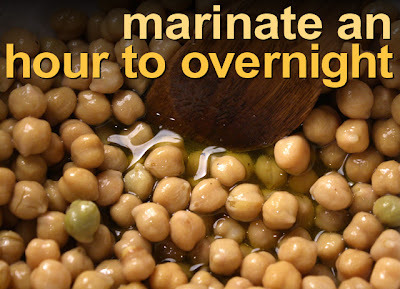 1 can chickpeas (or garbanzo beans) - 15 ounce can drained. 1/2 package of chorizo - about 1.5 ounces. 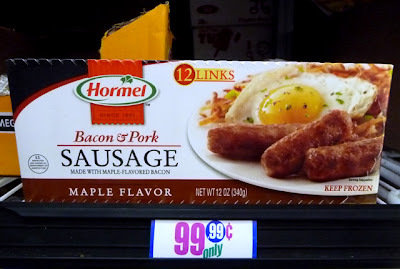 I used 1/2 package of Hormel brand Chorizo that was thin sliced. A tasty substitution is salami, or your favorite cured meat. Chopped or sliced. 1/4 bell pepper - L.A. Times recipe used red bell pepper. I used orange, but any color is fine. Handful of parsley - chopped, about 2 tablespoons. Optional. I have an herb garden so it's free! 2 green onions - chopped. Original recipe called for one -- not enough for me. 8-12 cherry tomatoes - slice tomatoes in half. Okay to use a regular medium tomato, chopped. 16 black olives - drained from a can. Original recipe called for 12, but I wanted more. Slice cherry tomatoes in half. Roughly chop the parsley and garlic (if garlic is fresh.) Slice the green onions. For the olives, slice depending on size - I left half of them whole and sliced the rest. 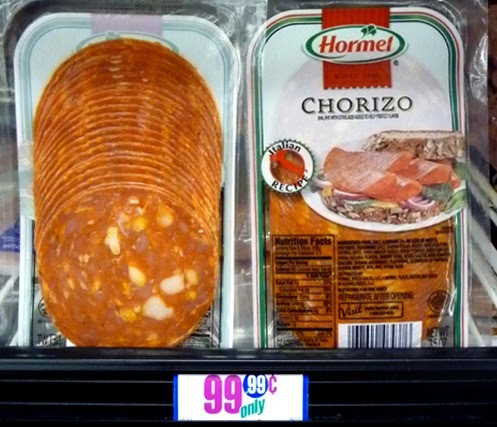 Real Spanish Chorizo comes as a link about the size of a jumbo hot dog wiener. The chorizo I found for 99.99 cents was thin sliced and quite large in diameter, so I just roughly shredded the slices into bite sizes. 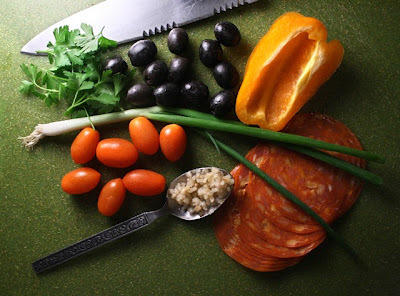 If you use hard salami (or a favorite cured meat,) then slice or chop into bite sizes. Finally just add the marinated chickpeas (including the marinade) in a large bowl with all the other chopped and sliced veggies. Mix well. It's ready to serve at either room temperature or chilled. Store any leftovers (not likely) covered in the refrigerator. 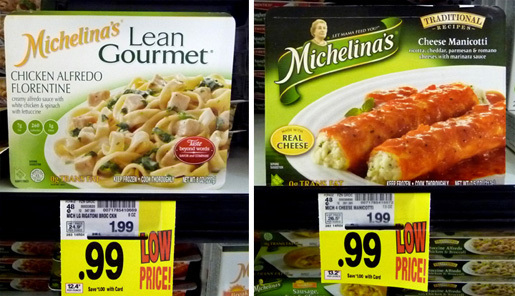 Michelina's Lean Gourmet 5 Cheese Lasagna is a winning entree for a light lunch or dinner. 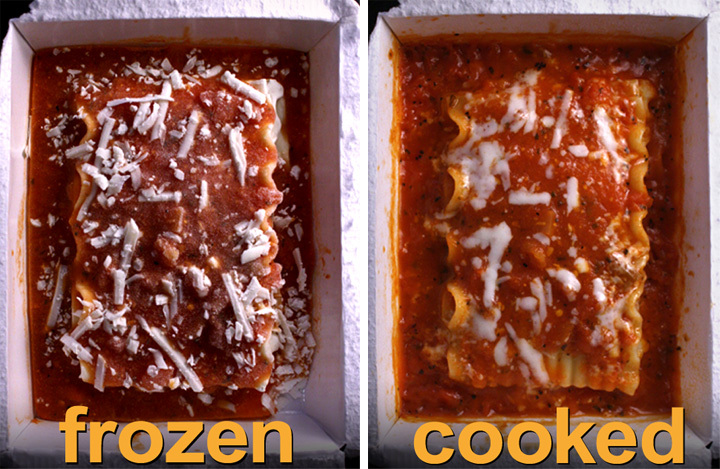 The slabs of noddles swim in a herb infused tomato sauce, and the 5 melted cheeses are quite flavorful. And it's priced right -- for one dollar, if you have a Ralphs card. 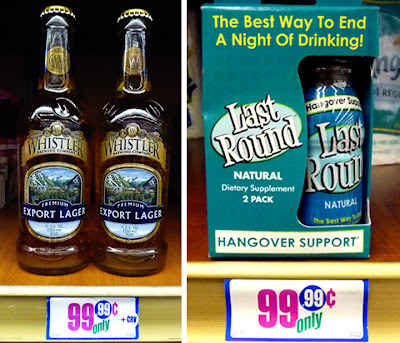 I'm not sure how long this Deal of the Day is going on at my local grocery chain store, but I would stock up on a few of these for cheap workday lunches. 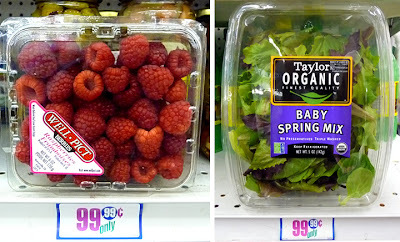 If you make a salad to go with it, like my 2 Minute Salad (click here,) you'll have a satisfying dinner, too. This entree microwaves perfectly. 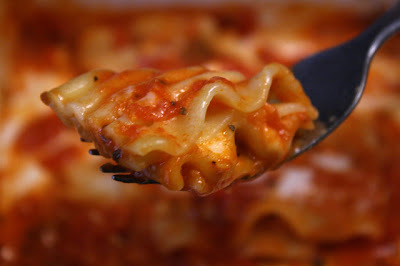 The cheese melts over the lasagna, while the noddles steam fork-tender in the rich tomato sauce. The sauce is flavored with earthy herbs and sweeten with red wine (according to the ingredient list.) There's just is enough sauce to dredge all the pasta though -- and, you will mop up every last drop! As you work your way through 4 wavy sheets of pasta, you are first hit with the tart and sharp Parmesan, Asiago, and Romano cheese, which then gives way to sweeter and creamier Ricotta and Mozzarella. It's so good you'll wish there was as much cheese as your grandmother would normally add. But, to keep it calorie conscious, I guess they decided to cut back on the amount of 5 cheeses. So, on a 1-9 scale, 9 being best, I give Michelina's 5 Cheese Lasagna a perfect 9 ! I could take off a point because I wanted more cheese; but I can't really complain about a delicious entree that only costs a buck! Their online magazine carries a food blog section called Squid Ink that covers the city's vast and bustling cuisine culture -- everything from a review of ink., the happening new restaurant from Top Chef Michael Voltaggio, written by Pulitzer Prize-winner Jonathan Gold, to a month long series "30 Burger in 30 Days" by Elina Shatkin, along with daily national and international food headline coverage. I have Squid Ink bookmarked under Favorites. (If you want a great foodie resource, I would recommend you bookmark it as well, here.) 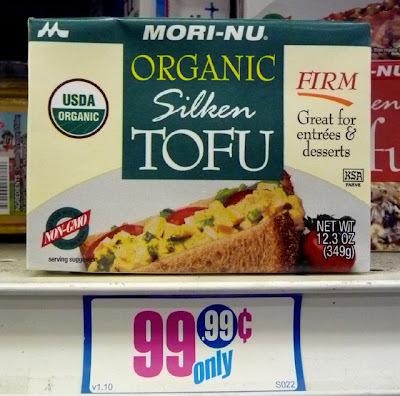 The editorial slant is progressive and eclectic, just like my frugally-fashioned unconventional food blog. 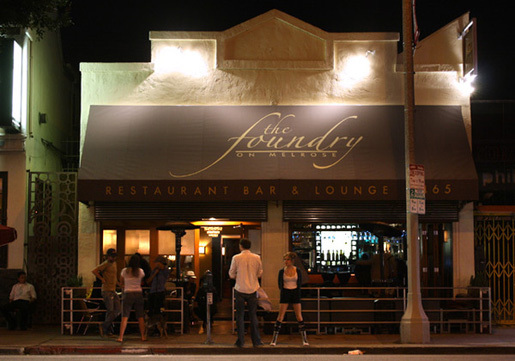 I was contacted by LA Weekly journalist Daina Solomon just after Christmas. She wanted to revive a series the magazine last published in February of 2010 called "Meet Your Food Blogger." And, she wanted to resuscitate the series with an interview of the chintziest of culinarians, The 99 Cent Chef. We first discussed it on Tuesday - did the interview at the LA Weekly on Wednesday - and the article was online by Friday. Daina is a great interviewer, and she fashioned a comprehensive article in which she wrote about my blog origins and influences, while at the same time creating links to some favorite recipes and video posts from my last four years of blogging. 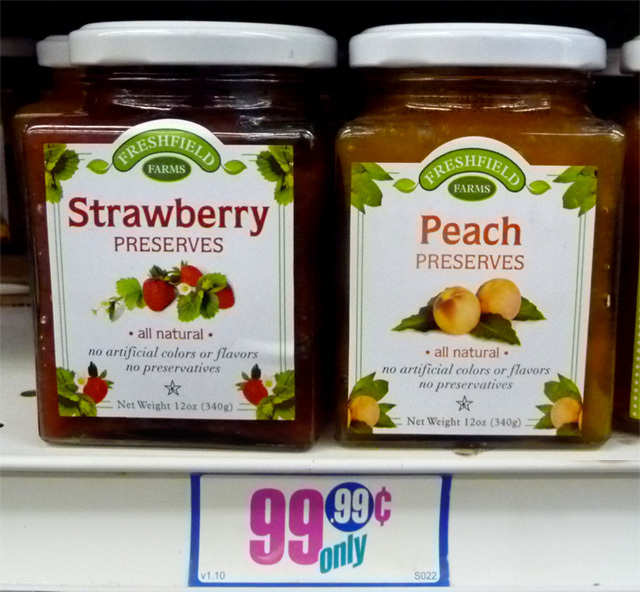 This journalistic piece covers everything you wanted to know about The 99 Cent Chef (but were afraid to ask.) The first page is below. 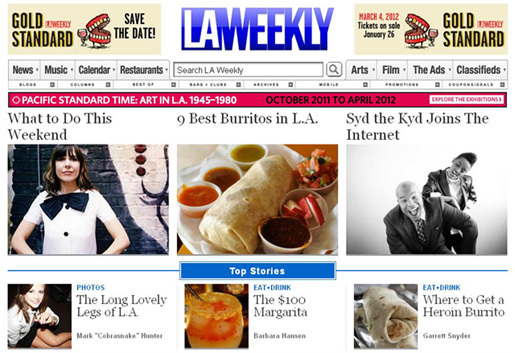 Click on the following links to see the original LA Weekly post: Page 1 and Page 2. 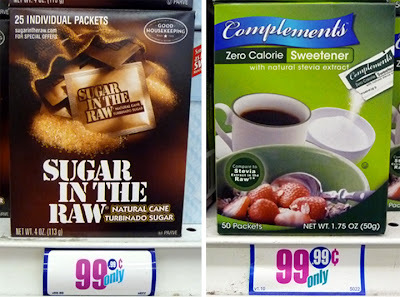 I am on a liquid diet since the overstuffed holidays! And, I don't mean booze -- it's back to fruit smoothies in the morning for the much heavier frugal foodie. I am more of a grab-an-apple-and-run type in the AM. I like an omelet every once in a while, but my usual morning meal is frozen fruit blended with low-fat yogurt, a banana, and soy milk. I try to mix it up with frozen raspberries, strawberries, grapes, peaches, blackberries or pineapple. Over the Christmas holidays, we went to Joshua Tree National Park with our Seattle friends Jenny and Kevin (meet them in my Seattle Video Diaries here.) We hit the hiking trails, enjoying the dramatic desert scenery of scrappy Joshua Trees and sun-bleached tan building blocks of skyscraper-sized boulders (to see what I'm talking about -- my previous Joshua Tree video adventure is here.) On the way back to Los Angeles we stopped for a date shake at the diner, Hadley's (website,) west of Palm Springs on the 10 Freeway. Along with Joshua Trees, the desert dryness and sun is perfect for growing fields of date palm trees. 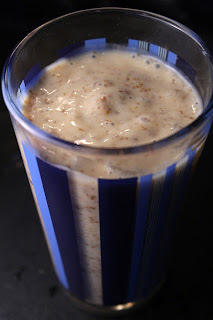 I love dates, and had forgotten how good they pulverized in a milkshake -- so cool, creamy and sweet. I was at The 99c only Store last week and saw dried figs for sale. I have seen small packages of dates before, but not this time, so I thought: "Why not make a Dried Fig Smoothie next time?" After all, figs are chewy dried fruit just like dates. But, dried figs are not as sweet as dates, so I added a teaspoon of honey -- it turned out to be just the right amount of sweetness. 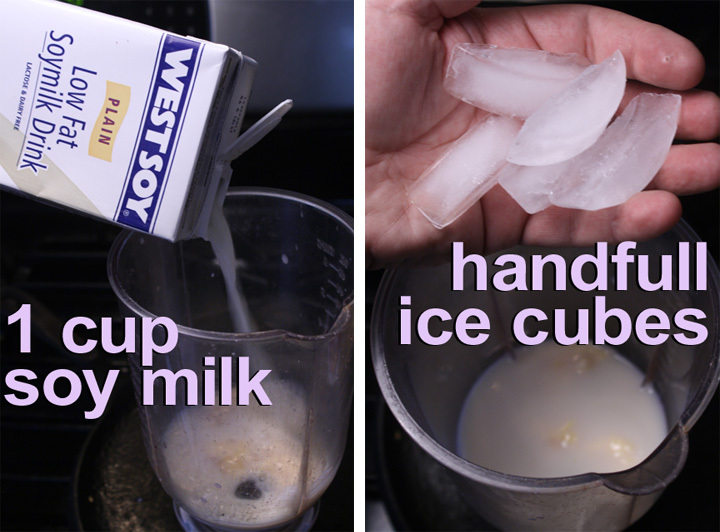 I also used soy milk instead of ice cream (too rich for me,) a handful of ice cubes to get a slushy consistency, and some yogurt for creaminess. 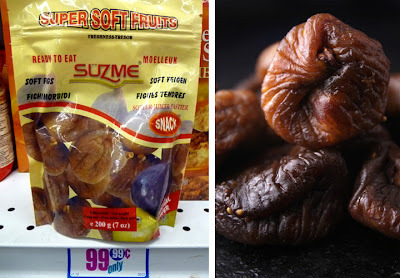 So, until I see dates return to the 99c store, I'll use dried figs. 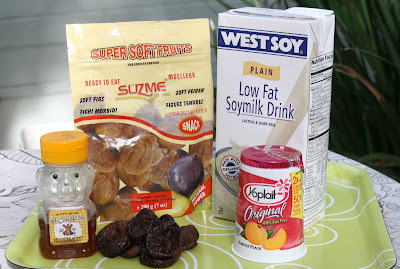 If you have cheap access to dried figs or dates, give my smoothie recipe a try. It's a cool, tasty drink -- good anytime of day. 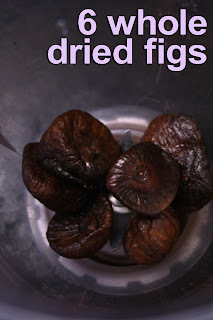 6 whole dried figs - they have small stems. I went ahead and blended with stems (it's extra roughage,) but they are easy enough to slice off, too. 1 small container of yogurt - about 6 ounces. 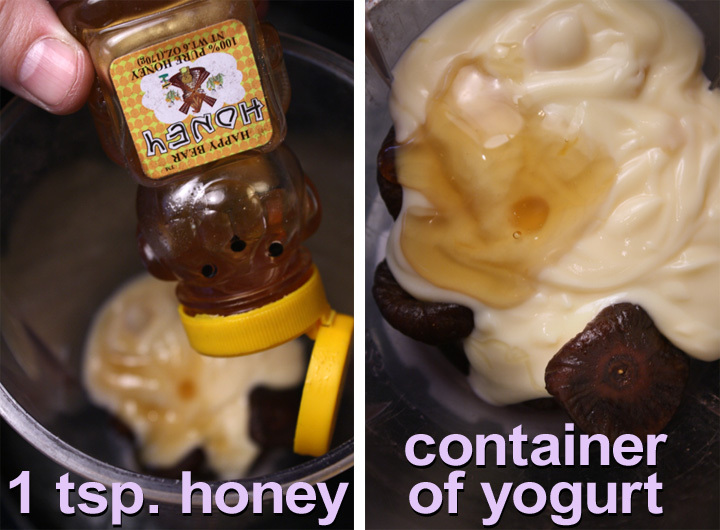 I used a peach flavored yogurt, but you could just use plain. 1 cup soy milk - okay to use regular milk. For a Dried Fig Shake substitute with vanilla ice cream. Handful of ice cubes - optional. Add all of the ingredients into a blender and run until smooth. With the dried figs you may have to first pulse a few times, to get it all going. Ice cubes will make a slushy cold blend, and the dried figs will reduce to into a ground pepper like texture. 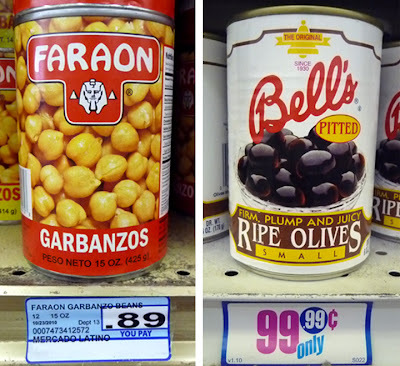 These are a few of my favorite finds from our local 99c only Stores from last year. (Click on a photo to see it larger.) 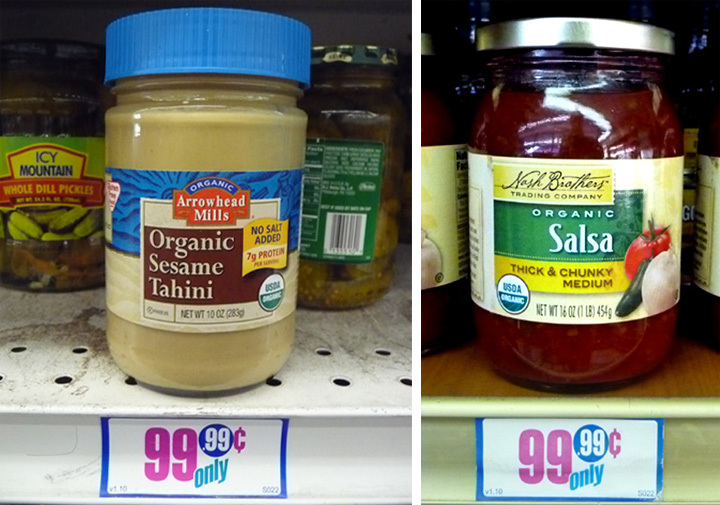 This 99%er Chef does not live on 59 cent canned tuna, 99.99 cent pasta sauce, and 79 cent packages of pasta, alone. I've made everything from smoothies with fresh Raspberries, to a Veggie Stir Fry with Organic Tofu; all with ingredients found here. What follows is only a small sample -- I take my chef's hat off to our local 99c only Stores. One of my favorite budget recipes from last year used that sweet and tender mollusk, the most flavorful and luscious sandwich ever, a Scallop Roll -- based on a New England classic Lobster Roll. Click here to see it. 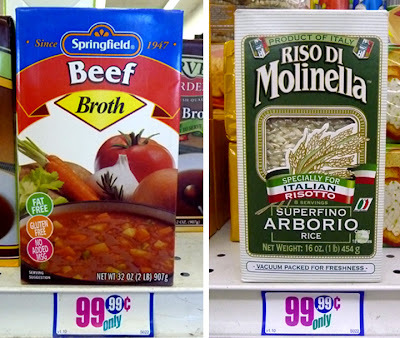 When I find fat and gluten free Beef Stock and real Italian Arborio Rice separated by an aisle, it doesn't take much culinary imagination to see a rich and lusty risotto entree coming soon from my chintzy kitchen. My Oyster Mushroom Risotto recipe, is here. 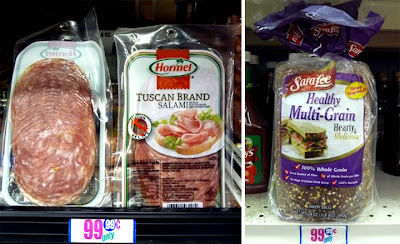 Whole grain bread, loaves of pungent sourdough, and delicate slices of specialty deli salami are usually stocked for your next picnic or party tray. Last summer we had a picnic in Marina del Rey's Burton W. Chace Park to see songstress Aimee Mann for free! I made a bushel of finger sandwiches using fresh cucumbers, various cheeses, a couple kinds of bread, and a delicious Hot Sopressata Salami. Watch the sandwich-making and some concert clips here. The 99c only Store was family owned until last year. 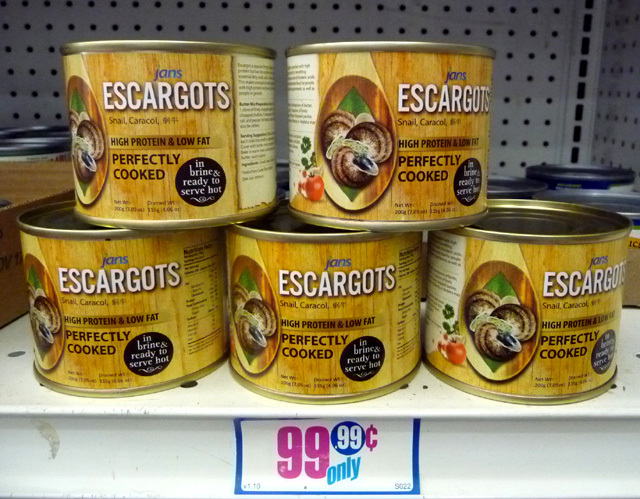 It was bought out for about 1.3 billion (article here,) and the stores are expected to expand beyond California and Texas -- so look for canned escargot (snails) coming to a city near you! Whew, the holidays are over! At least there's a break until New Years Eve. And, this Economical Epicurean learned a few culinary lessons on cooking the big bird during this holiday break. Plus, I shot a short stop motion video of the roasting turkey for the fun of it. I was on the lookout for whole frozen turkey for less than a dollar a pound -- without the caveat of a $25 minimum purchase. 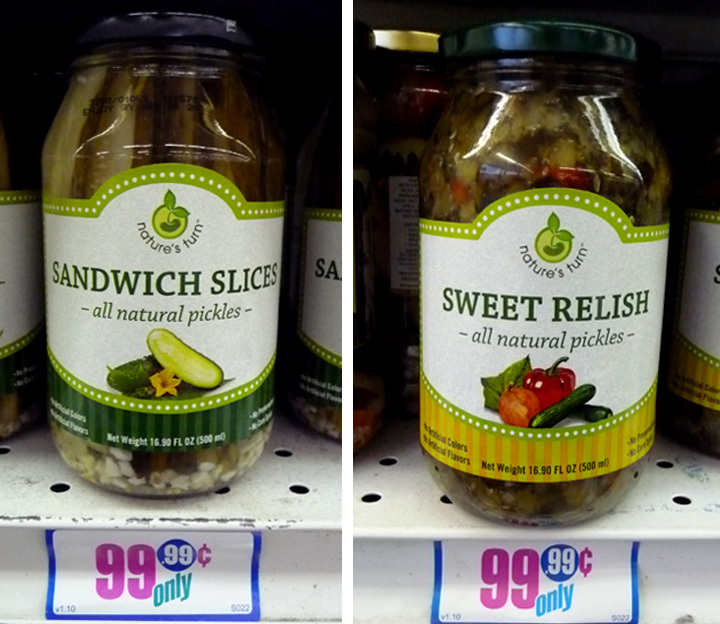 I found my local Ralphs grocery sold Jennie-O whole turkeys for 79 cents a pound. I got a 13-pounder for just over $10 -- what a deal! But even if you prefer an heirloom, free-range, all- natural, hormone-, steroid-, and antibiotic-free heritage bird fed on an alfalfa pasture, protected by a 7-foot fence, and raised on a sustainable farm -- you can still apply my cooking tips. 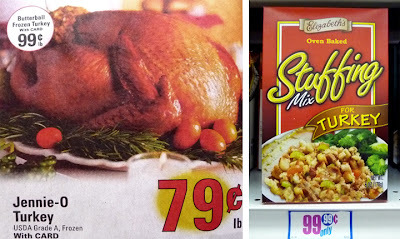 I have only cooked turkey a couple of times, and at these prices, it was a good chance to get some more experience. Since we were having a rib roast for Christmas dinner with the in-laws, I thought I'd invite some friends and neighbors over for a cheap pre-Christmas fowl feast. Hey, I could feed seven, and still have leftovers though the New Year. Roasted turkey is notorious for being too dry. I wanted to try brining it, which I've heard keeps the bird from drying out. There has been a lot of bytes spilled on the subject of salt-brining a turkey. Well, I think brining is bogus! I tried it and I didn't like it -- maybe I did it wrong? I salted the turkey all over, which I read works as well as submerging a turkey overnight in a cooler of icy salted water. It's supposed to keep the breast moist and tender during roasting. Well, if you overcook the bird, just a little bit, all that effort goes out the window, and you still get a dry bird. It's too much work for too little payoff. The other problem with brining is you get over-salted turkey parts. It takes too much rinsing and soaking to get rid of all the salt. I like to chomp on crunchy turkey wing bits, and sink my incisors into the "oysters" (known to the French as: "sot-l'y-laisse,") which are two tender meaty rubies embedded in the bony undercarriage of the fowl's carcass. And, the jolt of an over briny bite is too much. You would have to run the turkey though a car wash twice to get out the salt from all those tasty tidbits. Those poultry roasting bags work well at keeping the bird from drying out. Cooking the bird upside down keeps the breast moist, too. 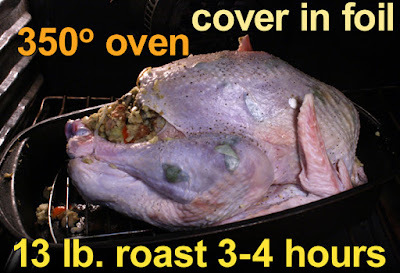 Cutting along the turkey backbone and flatten, or splaycock, will enable the breast and dark meat to finish cooking at the same time and also reduce roasting time. I loosely cover the bird with foil to keep the breast from drying out. During the last hour or so, add enough water to fill the roasting pan just below the roasting bird for turkey drippings to make a rich gravy. And make sure to scroll down to the end of this blog post, under Hindsight, for my Homemade Turkey Gravy recipe. And for a crispy skin take off the foil and let the skin brown for the last hour or so. My method is not new, but it's underused. In my video I use this old school method. Here are a couple delicious tips for you: I added fresh sage leaves under the turkey skin (I would even add more next time). It made a fragrant bird and added a light earthy herb flavor. Also, I added 2 cups of water to my roasting pan when I took off the aluminum foil during the last hour; then sloshed the water around to loosen the browned bits and mix in the drippings. I basted the turkey breast and legs about every 15 minutes until done. 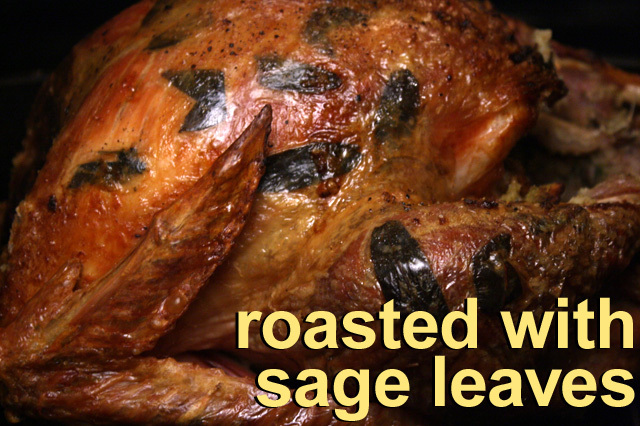 Sage leaves are such a tasty addition that you'll also want to bake your next chicken (or breast and thigh pieces) with them. Of course if fresh herbs are hard to find just roast the turkey herbless, it will still be delish. No one complained about the bird being salty in places. The Sausage Stuffing I made was perfect (see recipe video below), and my wife's Squash, Tomatoes and Onions (click here to see the recipe) made a welcome light veggie side While not the best pre-Chrismas dinner, it was a success, and I learned a few things. 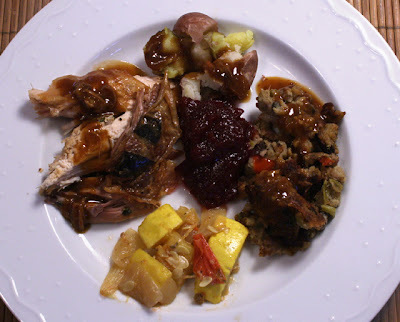 So, check out my fun video of an imperfect turkey dinner. And, if you learned any turkey cooking tips of your own this year, or have some tried-and-true advice to pass on, leave a comment for me and my visitors. 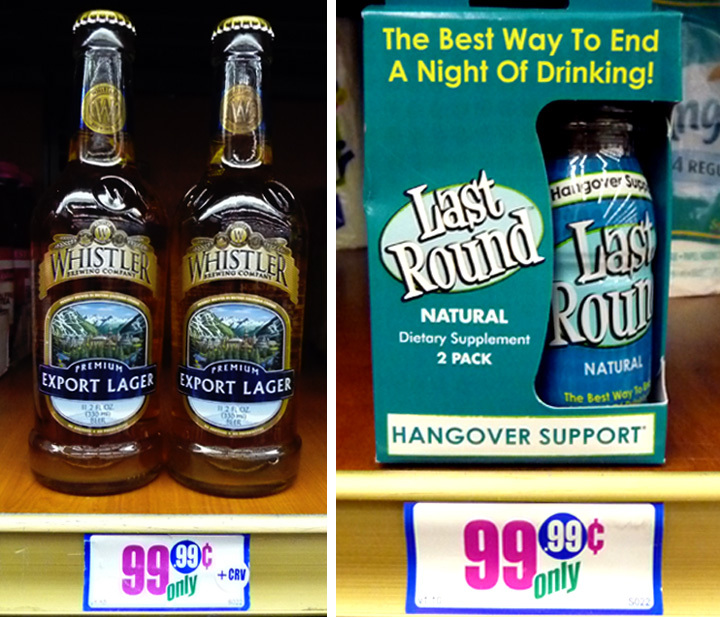 Have an entertaining New Year! Play it here. Video runs 4 minutes, 22 seconds. Sausage - about one12-ounce package breakfast sausage. You could use less or more, to your taste. 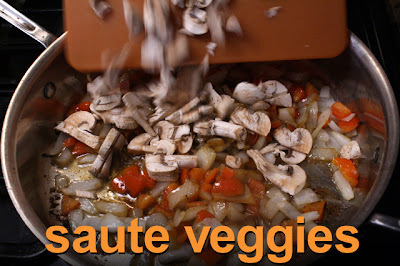 Or, keep it vegetarian and use more mushrooms and veggies. 1/2 bell pepper - chopped, any color. 1 rib of celery - chopped. Sliced mushrooms - small 4 or 5 ounce package. Optional. Stuffing mix - any favorite store bought package, follow package directions. Water - according to stuffing directions. Stuffing mixes are usually over-seasoned, so I left it out salt and pepper. 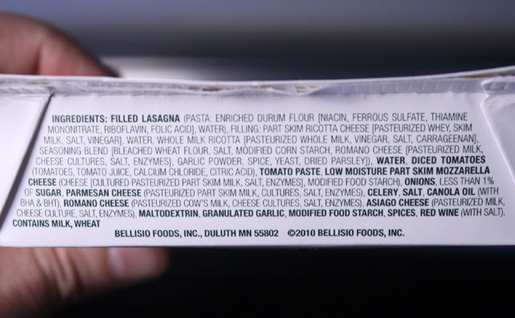 Okay to use any fresh or dried herbs, too. I sometimes add a few chopped leaves of fresh sage, parsley and oregano. Over a medium heat in a large pan or pot, saute the sausage until brown and cooked through. Break apart the sausage into bite sizes. 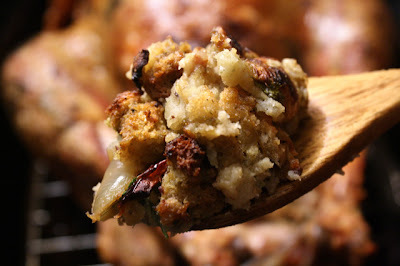 You can drain off some of the fat -- I kept it in, to flavor the veggies and stuffing. Set sausage aside when done. 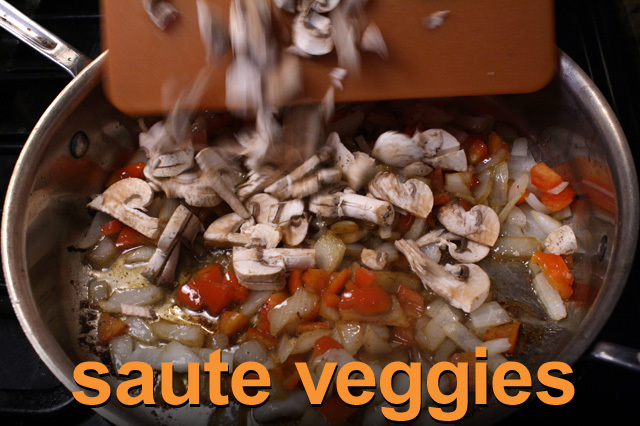 In the same pan, add the chopped onion, bell pepper, mushrooms and celery. Cook about 5 minutes until soft. Finally add the chopped garlic and cook another minute. 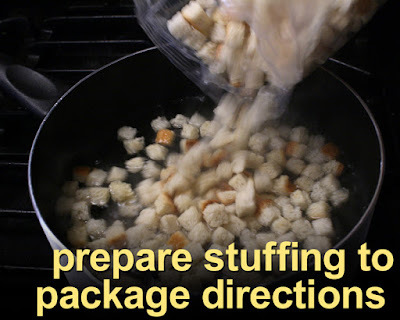 Prepare the stuffing according to the package directions. I cut the water or broth amount in half. If you add all the water they call for the stuffing is very mushy - fine if you like it that way. The stuffing will get more moisture from the roasting bird. Now it's time to mix it all together. 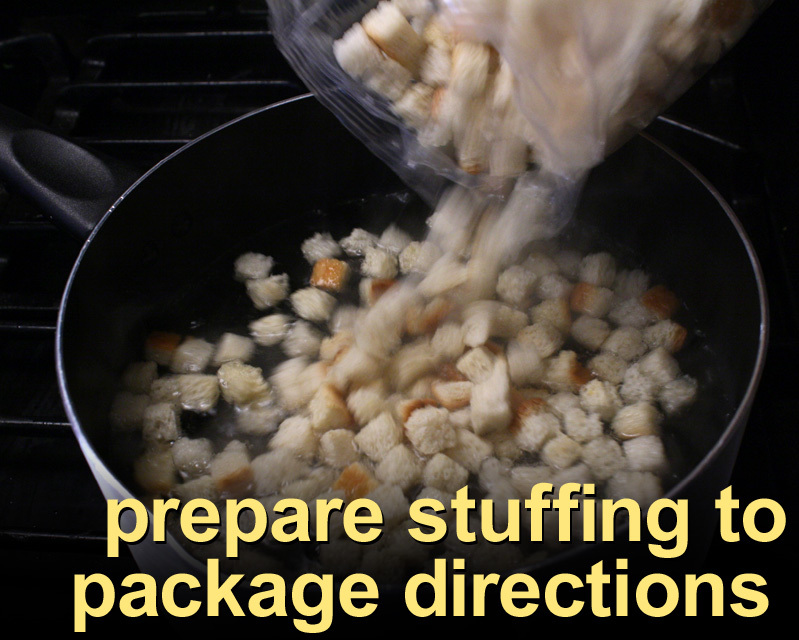 You may need to do this in batches, depending how much stuffing you are making. 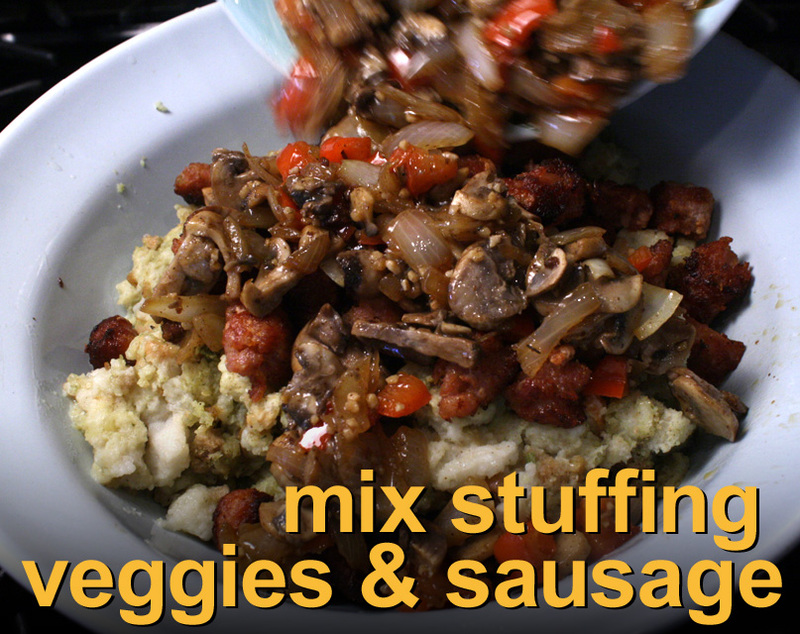 In a large bowl add the stuffing, sausage and cooked veggies. I add some fresh herbs, too. 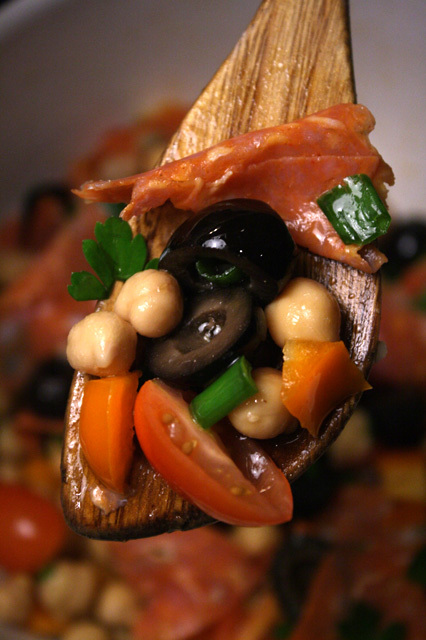 Mix well, and set it aside while preparing the turkey for roasting. 10-15 pound turkey - I got a 13-pound bird. If yours is larger, then follow package directions for baking times. I have a couple of handy links for cooking times. Butterball has a comprehensive guide for turkey size and cooking times, just click here. Allrecipes has a simpler guide, a click away here. Sage leaves -- a handful, depending how many leaves you can get under the turkey skin. You can use almost any fresh herb, including: basil, rosemary, thyme, oregano -- or any combination. Of course this turkey recipe is delish, even without adding herbs under the turkey skin. Water - during last hour or so, for Turkey Gravy. Two to four cups, depending how deep your roasting pan is. Under Hindsight below, you will find my Homemade Turkey Gravy recipe. For the liver, I like to season it and roast it on the rack with the bird, about half an hour, or until done. This is the Chef's reward for all the hard work! Preheat oven to 350 degrees. Place whole turkey in a roasting pan. Season the turkey, inside and out, with salt and pepper. Loosen the breast, leg and thigh skin. I do this with my clean fingers. Watch the video to see how I did it. It's a yucky process, but done carefully, you will get a flavorful bird loaded with a pungent, earthy herb taste. Loosening the breast is easy, it's harder to do the legs and thigh. The skin is malleable, but will tear, so be gentle and work it loose slowly. I used sage leaves from my garden, but you can use any fresh herbs you have on hand.. I spaced the leaves about an inch apart. But next time I would add more leaves. Loosely wrap the the turkey in foil.You will remove the foil during the last hour of roasting. My turkey was 13 pounds, so the baking time is 3-4 hours (okay to follow turkey package direction timeline for the weight of your bird.) Because the bird is covered, you have a little wiggle room - the turkey will stay moist longer. After the third hour, it's time to start checking the thigh meat to see if it's done. I make a small slice into the thickest part of the thigh, that is attached to the body, and look for any pink or red juices. The bird is done when the juices run clear, or the internal temperature of the thigh meat is at least 165 degrees. 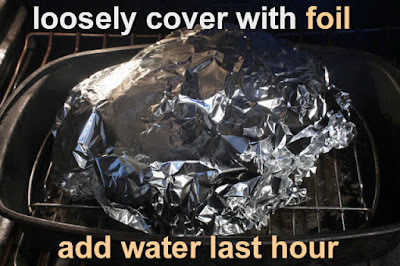 Add water to the roasting pan once the foil is off. Slosh around the water to get all the tasty bits in the pan loose. The water and pan juices will be the base of your Turkey Gravy. When turkey is done remove it and allow to rest for about 10 minutes. And should the bird still be a little dry (hey, it may still happen) just spoon on some of the turkey broth over your freshly sliced turkey -- that'll fix it. For Homemade Turkey Gravy add at least 2 cups of water to roasting pan an hour or so before bird is done. This will give time for tasty roasted pan drippings to loosen and mix with water to make a rich broth. Add another cup of water (or more) to pan after removing bird. The water is the base to your gravy, so add enough water to make plenty of gravy. Lightly scrape the pan and stir water. Now you can pour out the broth into a large pot or pan to make gravy. Over medium heat, whisk or stir in 1 tablespoons of flour per cup of broth. I usually mix 3 cups of broth with 3 tablespoons of flour. You can use more or less flour to suit your taste, to make a thick or thin gravy. To make a gravy without lumps, I add flour to a bowl and pour in a cup of broth. Mix until you have a watery paste. Add that to the pot or pan with the rest of the broth. Stir until well blended. Stir and heat the gravy until it low simmers. The Turkey Gravy will thicken as it heats up, after 3-5 minutes. If you are like me, I like some meat in my gravy. While turkey roasts I low boil the neck bone and giblets for about 2 hours in seasoned water, to tenderize. The liquid also serves as extra broth for gravy. When neck and giblets are tender, let them cool down some and chop the giblets. You can easily peel off the neck meat from the bone. Now you have plenty of tasty meat to add to your Turkey Gravy. Add as much or as little as you like.